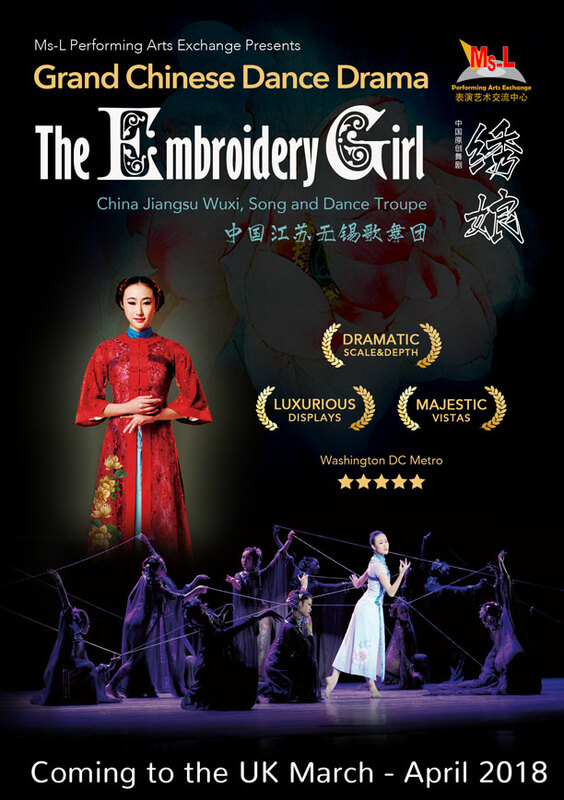 The Embroidery Girl is a large scale dance drama produced by Chinese State Theatre’s: Jiangsu Wuxi, Song and Dance Troupe. It depicts embroidery Master Xiu Niang’s life, loves and outstanding achievements, against the backdrop of a rigid and male-dominated society at odds with her epic artistic vision. Set in the Qing dynasty, Xiu Niang’s story has entered legend in China where she left a legacy for the ages in the form of her much venerated Embroidery Art Bible. This is a rare chance to see the best of Chinese dance and theatre production, in a UK venue. 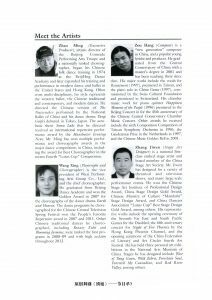 Western audiences will be captivated by this balletic work, combining a heady blend of traditional Chinese folk, Classical and Contemporary dance. The show has West-end standards of stage production while retaining a proud and distinctly Chinese feel. Filled with the lingering charm of Jiangsu local culture, colourful costume and exotic music, sublimely beautiful choreography, stunning dance skills and striking stage art, it is a real treat for both eyes and ears. This highly acclaimed Chinese show has already had successful western debuts in America and Australia. In cooperation with London’s MsL Performing Arts Exchange “The Embroidery Girl” will be presented to UK audiences in its updated and refined version for the first time,in 2018. 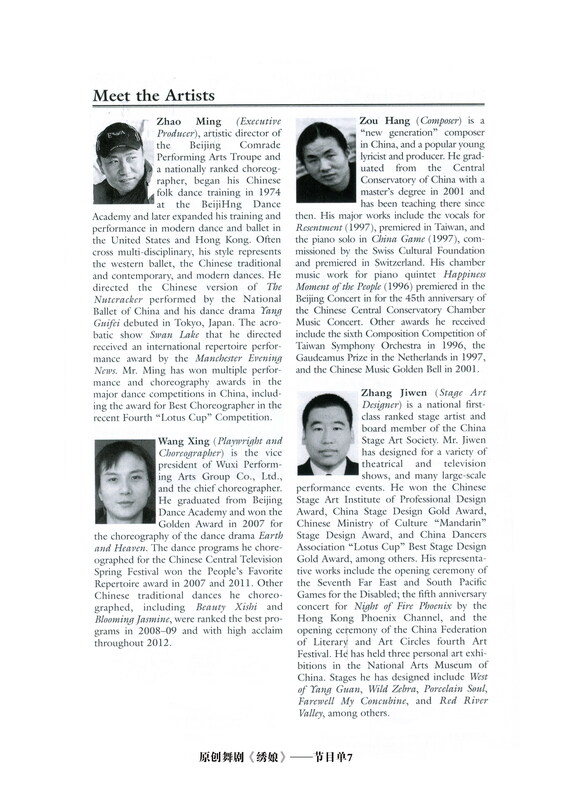 The production boasts a trully high calibre cast and crew including: The world-renowned choreographer, Zhao Ming (赵明), Chinese top dancer, Zhang Yashu (张娅姝) , First ranked contemporary stage designer, Zhang Jiwen (张继文), young celebrity composer Zou Hang (邹航) and famous costume designer Li Ruding （李锐丁).